Do I need a real estate agent when buying a new home? When you decide to take the leap and buy a new construction – a home you get to be the first to live in – it can seem so easy. You are the one calling the shots, and there is no risk of winding up in a home with a bunch of problems caused by previous owners. 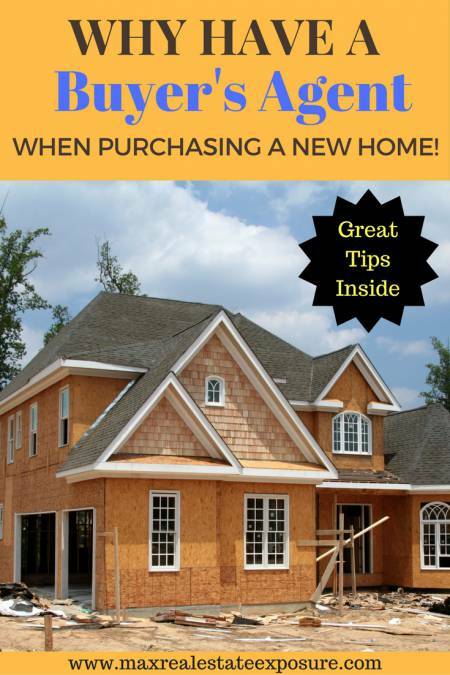 Unfortunately, if you go forward blindly into your home purchase you will not be the first to discover that buying new construction is not as simple, or as trouble free, as you imagined. There is still a lot that can go wrong, and you can still wind up with a property that is not nearly as perfect as you expected. The truth is, you need a buyer’s agent to look out for your interests when buying new construction. As with any home purchase, there are too many potential pitfalls, hidden risks, and complications involved in the process to guarantee a good result unless you have experienced help. In fact, it is vital to have a list of questions to ask a builder before moving forward. The answers to these questions could have a dramatic impact on whether you enjoy your home building experience or end up a frustrated mess! You will find this is one of the best resources around on what to think about before buying a new home. Be sure to read it! You will find this is one of the best resources around on what to think about before buying a new home. Be sure to read it! 1. Your buyer's agent can help ensure you find the right builder/developer. Without a doubt, one of the top reasons why you should have a buyer’s agent when purchasing a new home is to be able to get a professionals advice on the reputation of the builder. One of the greatest things about working with a good Realtor is that you benefit from his or her network of agents, vendors, lenders and other industry professionals. Word gets around when businesses or service providers don’t take care of their customers in the real estate industry. If there is a builder in your area that isn’t reputable, chances are the agent will know about it. On the flip side, he or she is likely to have heard about the builders that go above and beyond for their customers. With new construction just about anything can go wrong. You are after all building a home that takes a while to construct. Any number of things that can cause problems including weather, labor shortages, as well as issues with materials. Some builders have an exceptional reputation for delivering homes on time. Others are the exact opposite. In fact, one of the greatest complaints you find from those buying new construction is the builder’s inability to complete the home on time. It doesn’t come as a shocker to know how stressful buying and selling a house at the same time can be when your new home is not going to be completed on time! 2. Your agent can help guide you when it comes to the lot, location, and neighborhood. The best value in real estate is not always clear without extensive experience to guide you. While you can just go with your gut, working with your agent can help ensure you make choices about your purchase that will best serve your interests. Picking out the best lot, the right community for your lifestyle, the neighborhood features you want and the upgrades that are worthwhile – your agent can help out with all of these things. You are the final decision maker, but the best leaders have capable advisers to help guide their choices. While you can choose to work with any real estate agent, having someone in your corner with experience selling new construction can be a huge asset! For example, in new construction, the lot you choose can have significant consequences. Quite often buyers will be choosing a lot from a classy looking neighborhood plan. It will look all green and pretty. The fact of the matter is you really don’t know what you’re getting from looking at a builders marketing plan. An agent who knows new construction inside and out will ask to see the lots specific site plan. From this, you will be able to gather the topography of the lot. Maybe you don’t want a steeply sloping lot? How about finding out there is a large drainage ditch in your backyard? Maybe you will discover there is a large utility box smack dab in your front yard! Are you getting the point here? Many buyers do not think of these things until they have committed to a contract and it’s too late. Someone who is in your corner can also check out other things that may impact the long-term value or your property. This is another great reason why it is paramount to have a skilled buyer’s agent in your corner. 3. A buyer’s agent can guide you on appropriate upgrades and plan modifications. One of the nice things about new construction is you may be able to customize the home to your exact needs and wants. Of course, like any other home, there are certain amenities that are going to be more important than others. Without proper guidance, you could easily spend a lot of money on things that don’t matter when it comes time to sell. Again, an experienced buyer’s agent can guide you into some of the best new home upgrades with the highest return on investment. Some improvements really make a difference, while others are throwing money away. An agent who also has experience working with builders from the ground up can often be great consultants for making small modifications to a plan. I can’t tell you the number of times I have tweaked a builders standard plan into something better. Most recently this happened in Millbury Massachusetts. A recommendation on removing a hallway and sliding a bath in its place resulted in a floor plan becoming extremely popular. In fact, it became one of the best sellers in the builder’s neighborhood. This is the kind of advice that can help you years later when you go to sell. 4. Your agent will make sure all the paperwork, including the contract, is in order. Having a buyer’s agent isn’t just important when buying a new home. Having a fiduciary in your corner is always important. Many folks often wonder what does a buyer’s agent do for you. Real estate purchases involve a lot of paperwork, documents that can be confusing and overwhelming. Your agent will make sure all the paperwork is filled and filed correctly. He or she will also help you review any contracts you sign to make sure you are protected and that you are getting what you think you are getting. Your agent will verify that all aspects of the contract are understood by you and that you are OK with them. If there are any issues, the agent will notice them and be capable of explaining them clearly to you and to the builder. Your agent can also recommend an attorney who will add addenda to the contract that will guard against complications should something go wrong. Typically, a builders standard contract is written in a highly protective manner that favors the builder. The attorney can help protect your interests including looking over the thoroughness of the building specifications and builders warranty. 5. Your agent will negotiate on your behalf. When buying new construction it is imperative that you have someone who is in your corner representing your best interests. You do not want to go directly to the listing agent in most circumstances. In many states, this is what’s referred to as dual agency. A strong negotiator understands the true value of all aspects of the deal. Your agent understands what you want and need. He or she also understands what the builder values most. Because your agent sees both sides clearly, he or she is the one most capable of negotiating a deal that will be to your benefit. For example – everyone knows the builder will want to sell the home for the highest price possible. But the builder is not just motivated by making as much money as possible from the sale. The builder also wants to keep the price high because it helps the builder sell the next home for a similar price. The builder can point to your sale and expect the next buyer to accept a price that is somewhere near what you paid. However, because keeping the price at a certain point is so important, it means that the builder might be willing to give you other concessions in negotiations – such as offering upgrades. Keep in mind, however, that every market is different. If the builder is selling all his homes at full price and not give away any upgrades, don’t expect your agent to perform miracles. In some areas, builders can’t build the homes fast enough to keep up with buyer demand. Don’t expect a builder to discount when they don’t need to. 6. Your agent is a professional that will represent you through the entire buying process. Anyone with the financial means to buy a new home can go find a builder and purchase new construction. Unfortunately, doing things this way puts the buyer at a considerable disadvantage. Not only does the average person not have the ability to determine which builders are reputable, he or is also likely to be taken advantage of by the professionals working for the builder. It doesn’t have to be MALICIOUS, it’s just business. The builder and the employees of the builder are there to make as much money as possible. With a buyer’s agent, you get to step back and make the key decisions that will get you what you want – while the agent filters all the marketing, salesmanship and other noise into the facts that will help you make the best choice. Your agent will find builders that you can trust and will help you see the offerings of each builder clearly so you can compare and choose what is the best value for you. 7. The agent at the builder’s site represents the builder, not you. Keep in mind that the real estate agent working for the builder is focused on the best interests of his client – the company selling the homes. You deserve to have your own agent, someone who will be looking out for you. Most of the time, the site agent will be happy to work with your agent. But even if he or she isn’t, you should still have your own agent to protect your interests. When buying any home it is always wise to have an exclusive buyer’s representative in your corner fighting for your best interests. There are so many questions that can come up when buying new construction. You want a trusted advisor you can bounce your questions off of. Asking advice to a builder representative is going probably going to get you very different answers. Hopefully, by now you understand why having a buyer’s agent when purchasing new construction is paramount to your success. 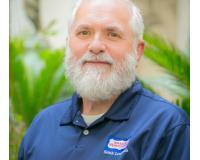 Thanks to Bill Gassett, nationally recognized Real Estate leader, for providing this advice at his website.